Just because it is off-season does not mean you have to accept low traffic and footfall in your store. Some customers like to shop during this period as it gives them a better deal and a peaceful shopping experience far from the maddening crowd. 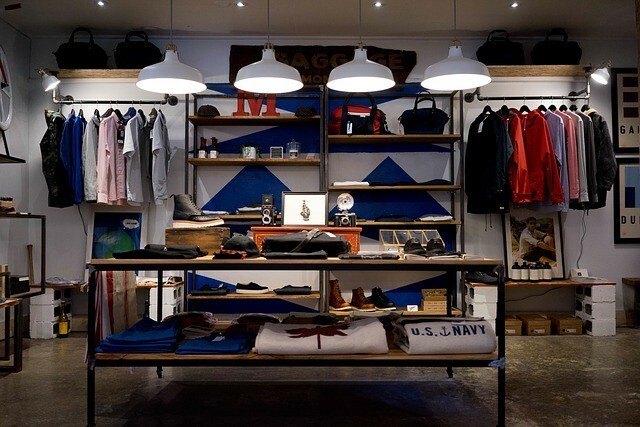 To enhance your chances of attracting more visitors to your store and make it more attractive for them to shop, here are some tips and tricks that you could implement right away! Probably the top two words that makes a shopper’s heart beat faster with joy! There’s no better way to attract more customers during off-season periods than the discount mechanism. Of course, this has to be managed carefully so that your bottom-line doesn’t get hit too hard. Sometimes, heavy discounts and sales could signal to customers that you’re clearing stock to pull out of the market, or that your sales have been consistently slow. Also, you don’t want to lose your brand equity once your customers perceive you as a place for discounted items. Marketing efforts could also focus on a particular group of people within your target audience so as to not blanket everyone into one-size-fits all strategy. Another one of the more obvious ways to attract off-season customers is to add products and services that nicely complement your core offerings. Some products and services could have a different impact on the customers, simply because it is during the off-season as well. Shopping habits and attitudes are different, so coming up with complementary services and products that meet those different needs could be beneficial. For example, add in a personal shopper, complimentary gift wrapping, free delivery etc to keep those orders coming in. Sales often spark a go season. The idea of a pop-up sale is that it is unadvertised too much in advance, which means that your customers have to check in your store/social media/webistes to see if you’re having a sale. If you start having pop-up sales once a month, customers and clients are more likely to come into your store more often just in case there is a sale. So, getting your customers in the door is half the work of increasing sales and counteracting slow sales. You can also have pop-up sales on your website. A lot of different companies use their social media platforms to announce random two days sales and give out promotion codes. It is an inexpensive marketing technique to drive sales traffic. Discounts on inventory that you are having a hard time moving is another great way to motivate consumers to buy. Rewards programs like “Buy 10 sandwiches and get the 11th free” can really boost your sales because it requires your customers to buy more of your product than they might normally for the opportunity to get a free one. Loads of existing shops/restaurants offer this type of rewards program by giving their customers a card that gets stamped for every product they purchase. This can also give you a step up above your competition that might not offer programs like this for their loyal customers. Rewards programs are just another inexpensive way to market your business and gain new customers by offering a valuable freebie. Referral programs are a great way for you to gain new customers and to reward loyal customers who recommended your business. There are many options when creating a referral program. You can reward your customers directly with cash, offer discounts or free products as a reward for their efforts. You should also reward the referee as well, which is another huge incentive for them to actually shop at your store. Remember your existing customer base is your best source for garnering new clients because recommendations from friends and family are much more trustworthy. Another effective way to bring customers back into your store and boost sales when business is slow is to throw an open house. Doing so allows you to invite your best customers to an event where you can showcase your products. It is a great way to give back to your clients as well because you can give them gift bags or even set up a buffet. Open houses also draw in new customers because they are usually done at night, with music and have a fun feel to them. Any type of event can draw people into your store, so also think about throwing special events. Events can turn into annual things and become quite popular within local communities, so be sure to advertise yours with posters and flyers and especially boost it on your social media platforms – Facebook allows you to create Events and invite all the people who follow your business.